Good morning everyone!! I’m in the Philippines! After 40-something hours of travel we finally made it to the mission home! I don’t know what day that was on because of the time change, but it was a relief! When I got to the mission home everything got real. I realized that I wouldn’t be home or see people I loved and cared about for two years. I’m still feeling that way even though it is about a week later. I love this gospel though, and I know that I’m doing the right thing! 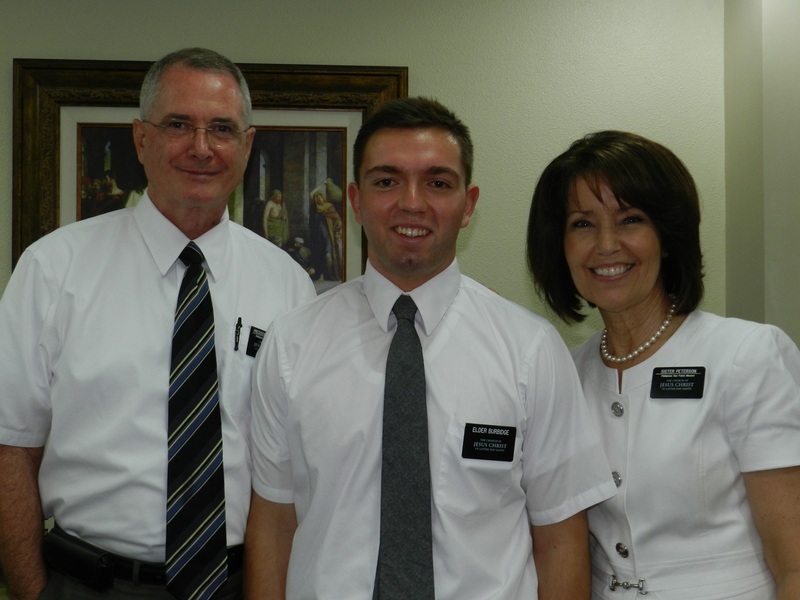 Tyler and his mission president, George Peterson, and his wife Kathryn. This is the hardest thing I’ve ever done. I know it will get easier, but I also know that it will get more difficult, which is okay. God gives us trying times so that we can grow as individuals. If I’ve learned one thing from being here, is that too much of anything isn’t good. If you are too stressed, it is hard to function, if you are too excited, people think you’re crazy (joke). You get my point. There needs be moderation in all things. I’m missing home A LOT. I know that in no time I will be home and be missing the opportunity to be a missionary though. I’m excited to be here. When I got to my area, Lucena Third Ward, I couldn’t understand anyone. I think it is a different dialect. It is more simple than the “high” Tagalog that was taught in the MTC. I’m slowly picking it up though. It is strange to be the only white person in my area. I’ve been stared at more in the last 6 days than I have every before in my life. It is interesting, but I think we’ve acquired some investigators simply because I’m white and can’t speak the language so they feel bad for me and let us in. Hey, whatever works right? Jokelong! but seriously it is a different experience being here. I miss you all and love you all! I can’t wait for the day that we will be reunited!